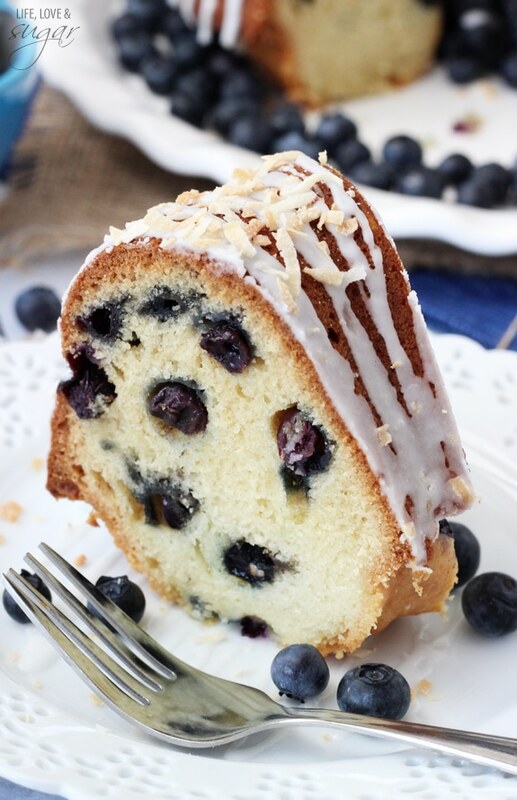 This Blueberry Coconut Bundt Cake is moist, delicious and a new favorite flavor combination for me. I’ve been kind of into blueberries recently. They are a bit of a new thing for me. I’ve always loved them in some things – like blueberry muffins, for example. But I was never totally into eating them on their own. That has changed lately and now I really enjoy them. Plus, they are totally good for you. One of those super fruits! Which by the way totally makes this a super cake and by super I mean healthy. Ok not really, but kinda. I mean, there’s fruit in it. That counts for something, right? Like breakfast? But back to the berries. 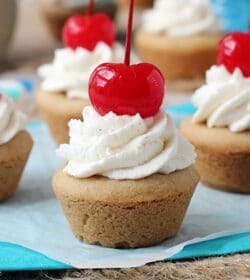 Now that I’m into them, I want to bake them into everything. I had some left over from making the Red Velvet Ice Cream Cake, so while trying to figure out what to make with them, I remembered seeing this Frozen Blueberry Coconut Yogurt Pie from She Wears Many Hats and thinking that sounded like a flavor combo I wanted to try. So I did. You guys, I am so glad I did! I LOVE the coconut. Which really shouldn’t surprise me. I mean, I know I love coconut. In fact, I wear coconut scented lotion most days. I just didn’t realize I’d love so much with blueberries. 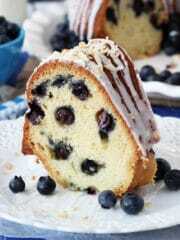 But it compliments the blueberries wonderfully! Seriously, I love it! 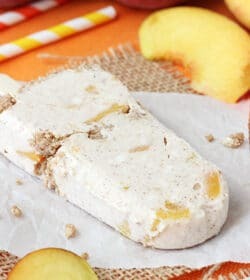 The flavors are totally refreshing and make think of summer. It’s a denser cake, yet still light. And it stays so moist. And to make it even better, it’s easy to put together. 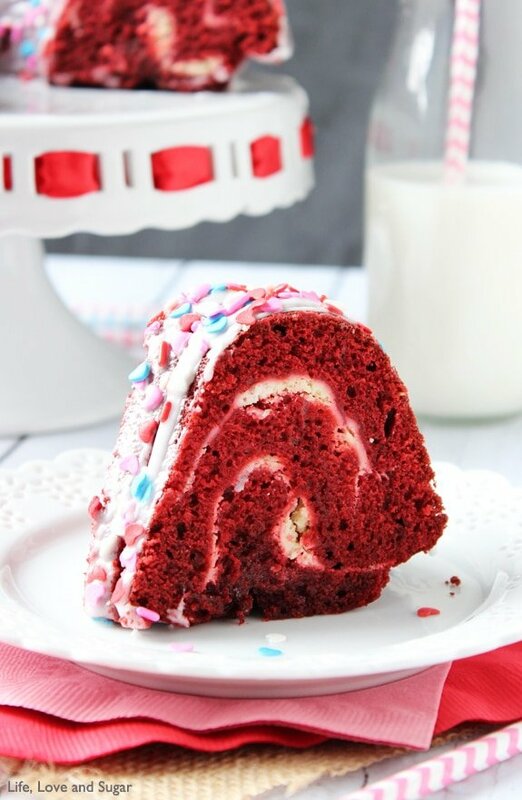 I started with the base of my Red Velvet Cheesecake Bundt Cake. 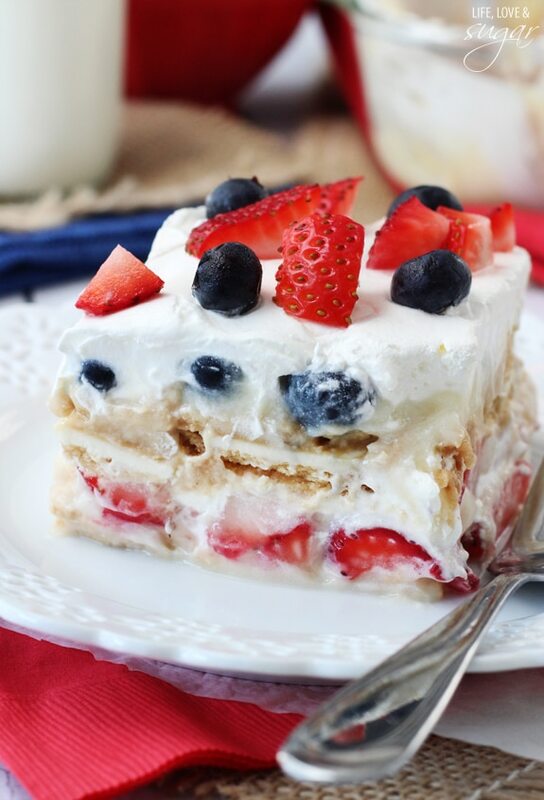 The dough is fairly thick and sticky, which is perfect for a cake with fruit in it. 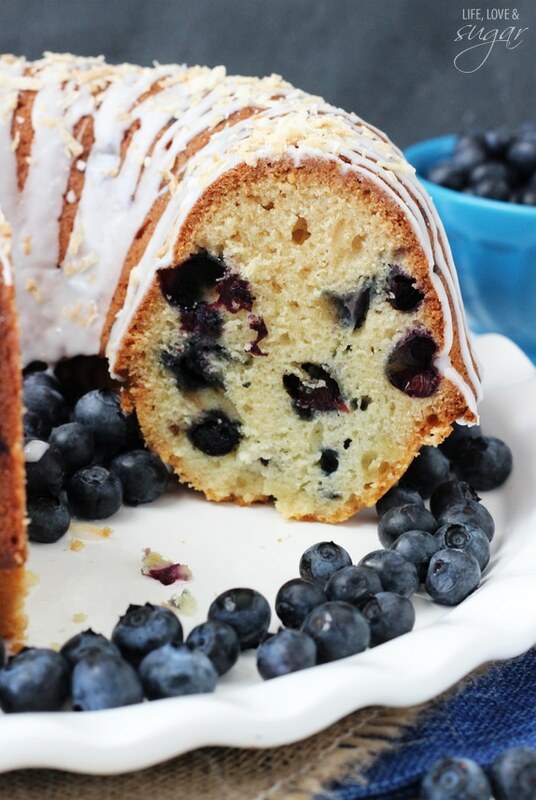 The blueberries run no risk of sinking to the bottom during baking. Those babies aren’t going anywhere. And please, don’t leave off the coconut glaze. It adds just a little more coconut flavor and it’s perfect. So tasty! Hopefully you’ll have somewhere to take this once it’s done, because it you’re like me you won’t be able to stop eating it. 1. Add flour, sugar, salt and baking soda together in a large mixer bowl. Set aside. 2. Whisk together oil, buttermilk, eggs and coconut extract in another large bowl. 3. Add wet ingredients to dry ingredients and mix until thoroughly combined. Batter will be thick and sticky. 4. Gently stir in blueberries. 6. Pour batter into pan and bake for 50-55 minutes. 7. Remove from oven and allow to cool in pan for about 10 minutes, then remove onto a wire rack to cool completely. 8. When cake is completely cooled, whisk together glaze ingredients in a small bowl. 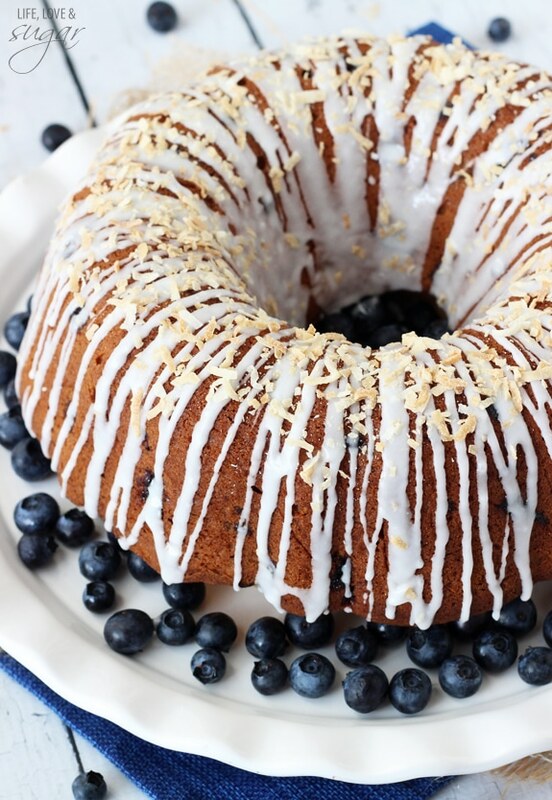 Use a spoon to drizzle it on top of the cake. Top with toasted coconut, if desired. 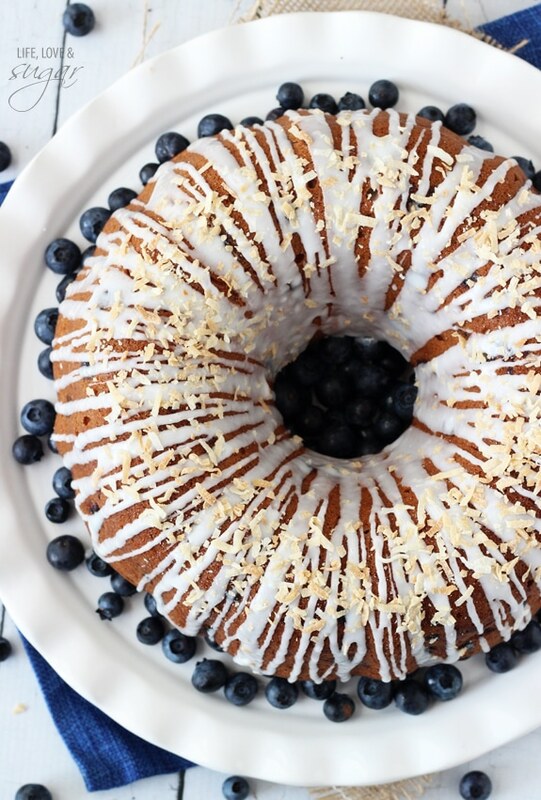 This bundt cake looks, gorgeous! 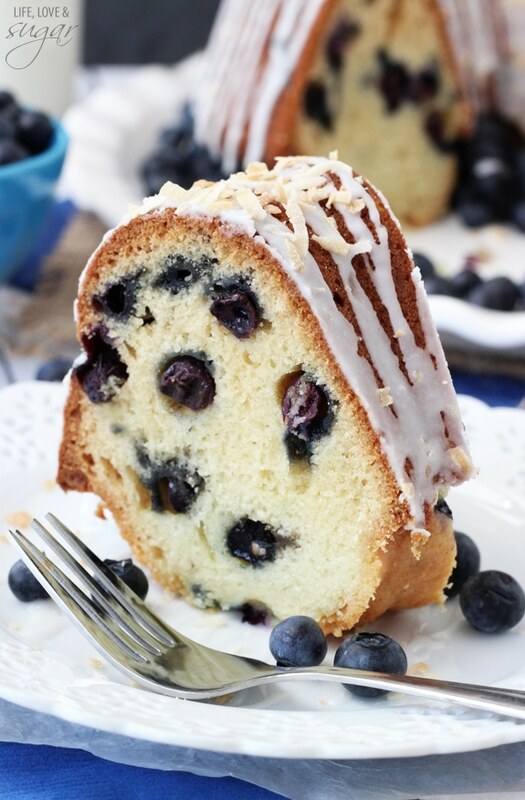 Love the pop of blueberries everywhere, such a great flavor for the summer, too. Pinned! 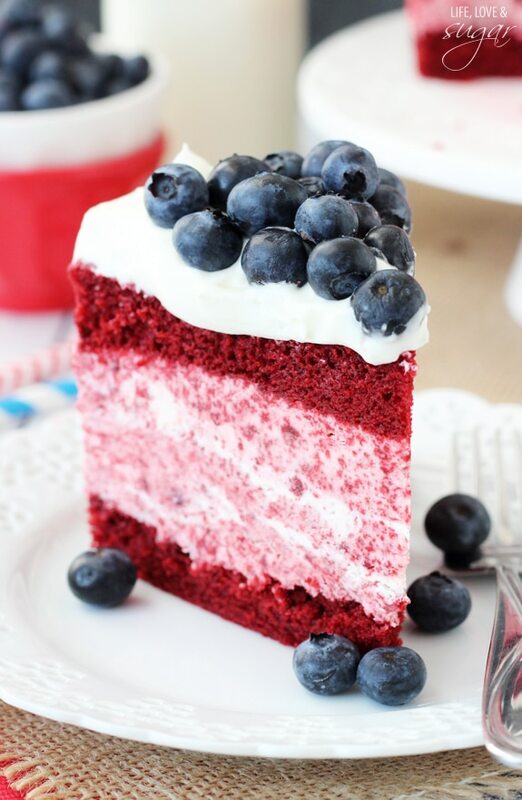 Mmmmm….. this cake looks sooo good! This looks amazing! I am totally obsessed with coconut but I’ve never had it with blueberries before. Must pin immediately! Found on Pinterest. 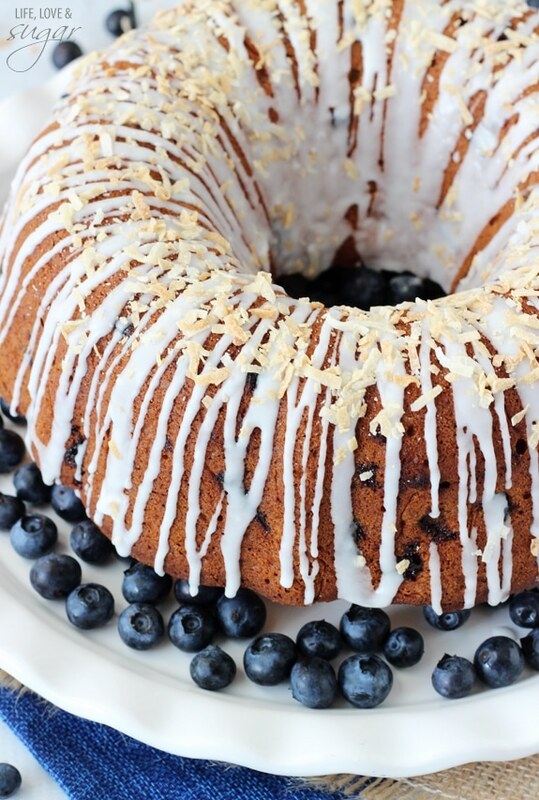 Blueberries + Coconut = Beautiful in every way! I love love bundt cakes!! Especially delicious and gorgeous like this one! 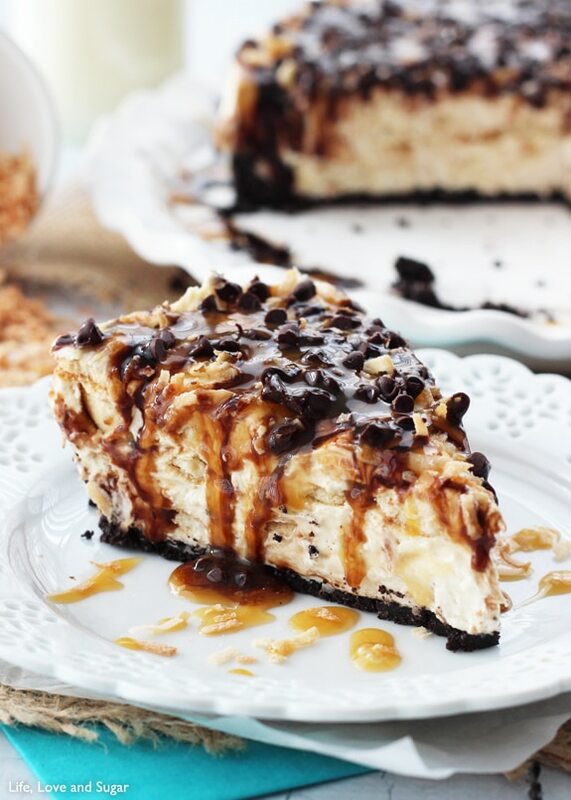 I wish I had a slice of it right now! Pinned! Thanks Anna! Thanks for the pin! This cake looks fantastic Lindsay! I LOVE blueberry and coconut together! Pinned and shared on Facebook! This looks super good. 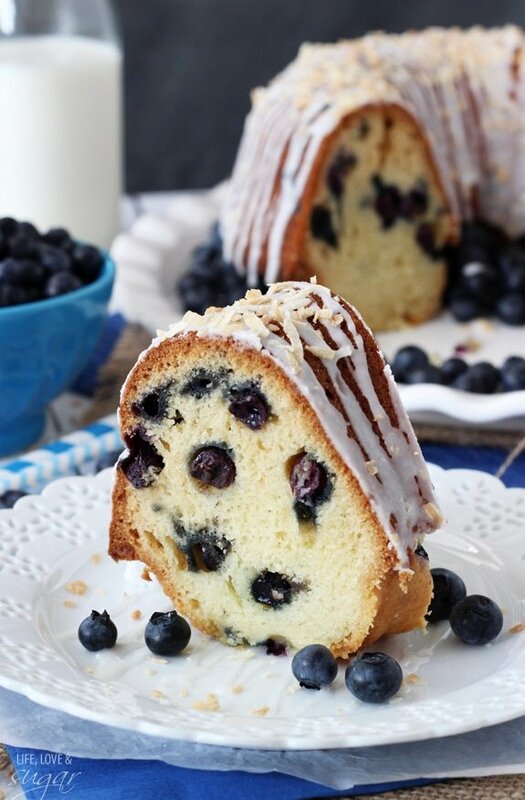 Can I use frozen blueberries in this blueberry coconut bundt cake? That should be fine. I’d just defrost and pat them dry first so you don’t add too much additional moisture to the batter.